Winter weather brings forth some unique security challenges. 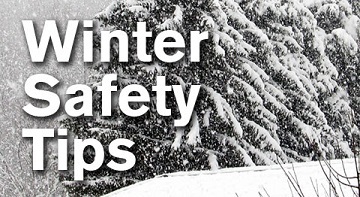 Here are five basic tips that will keep you and your family safe. With shorter days upon us, turn outdoor lights on. Intruders are more likely to target unlit homes than they are to target properties with bright exterior lights. Be careful with your trash. Make sure to break down all boxes and turn them inside out to hide logos from potential intruders. Many homeowners accidently advertise recent high end purchases through their trash. Keep your windows and doors locked at all times. Set your security system to away before you leave your home.